Termites cost property owners a lot of money each year. These insects feed on wood structures, eventually leading to extensive amounts of damage. It’s recommended that all home and business owners have their properties inspected for termites by a local pest control company. It’s very common for homeowners to be completely unaware of an active termite infestation. This is because termites live deep within the walls and crevices of a building, and they do not usually make themselves visible. However, there are a few telltale signs all homeowners should look for around their property. Termites do not actually digest wood. Instead, they leave a trail of undigested wood particles in their path. Finding these wood shavings around windows and door frames is sure sign there is a termite infestation. Termites also like to travel in large groups, so noticing a swarm of flying insects is also a sign. However, ants also do the same. If the insects have wings of different sizes, ant control is needed, but wings of an equal length usually points towards termites. As soon as a termite infestation has been identified, it’s important to destroy the colony as quickly as possible to avoid more damage. 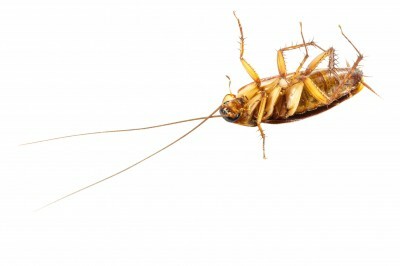 Pest Control companies have both chemical and non-chemical treatments available. Treatments kill active colonies, while also deterring new infestations from forming. Chemical methods include termite bait, liquid soil pesticides, and wood treatments. All are designed to poison live termites when they ingest the chemicals. It’s important to note that chemical termite control must be applied by a professional pest management company. For those who are wary of chemical treatments, there are also non-chemical options available. The barrier method involves applying sand of a certain size around the perimeter of a building. It’s been shown that termites cannot travel through certain types of sand, so it prevents them from entering the building. When termites are noticed, calling a local exterminator that specializes in termite treatment is imperative. The longer termites are left alone, the more damage they will cause. Only an expert knows how to properly handle and apply the insecticides, without posing a threat to humans or pets. Damage caused by the termites should also be inspected and repaired by a professional. The damage is usually hidden deep within the walls. If the damage is severe enough, it may weaken the structural integrity of a building. Termites pose a significant threat to home and business owners. Be sure to schedule routine termite inspections to make sure an active infestation is not present. If termites are noted, it’s important to treat the infestation in a timely manner.